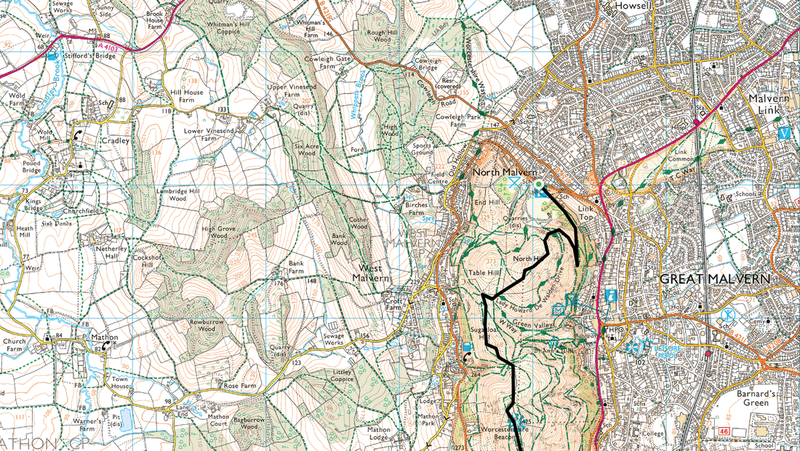 Good grassy paths for the most part with some boggy sections. 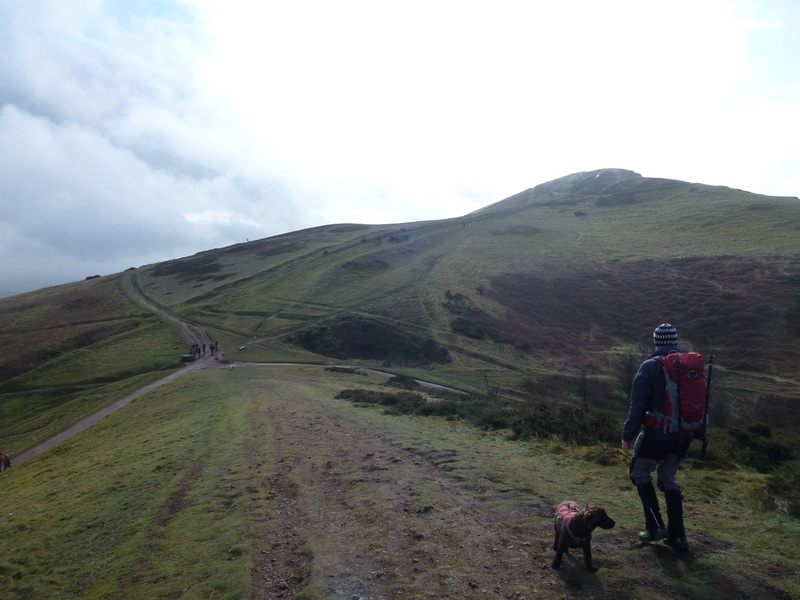 The ascent to Raggedstone Hill & Chase Hill was very muddy. 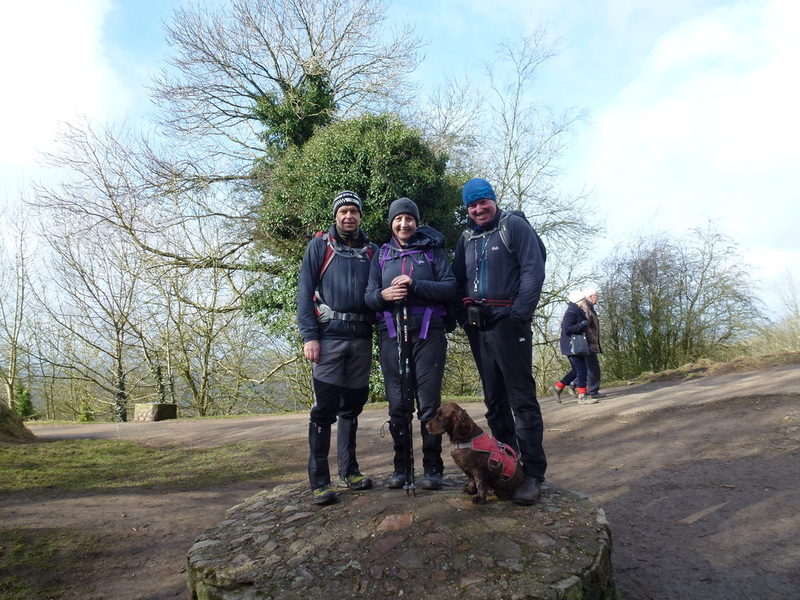 Dave & Fudge met up with Mike & Sue, fellow members of the Walking For Pleasure FB group, in order to walk the Malvern Hills End to End. 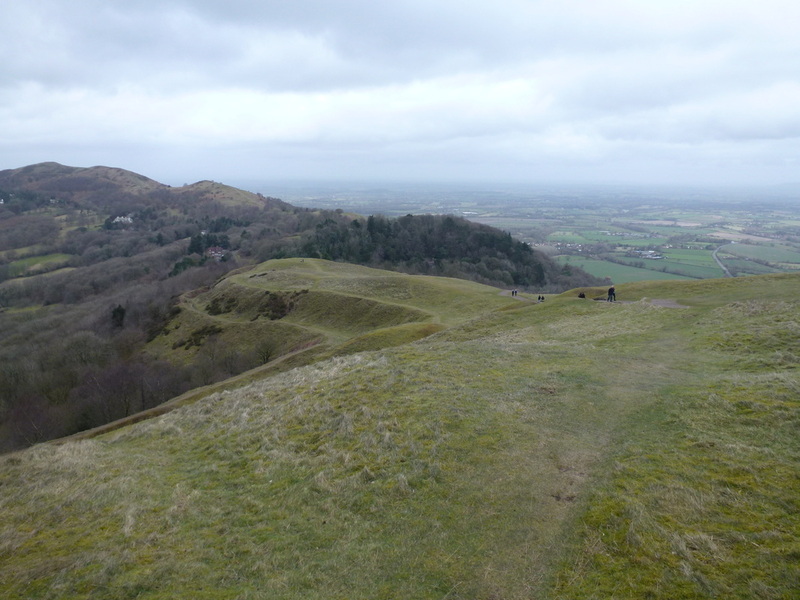 A linear walk, the route started from the North Quarry Car Park, transiting over the many hills that make up the Malverns before reaching the Car Park at the southern end at Hollybush. 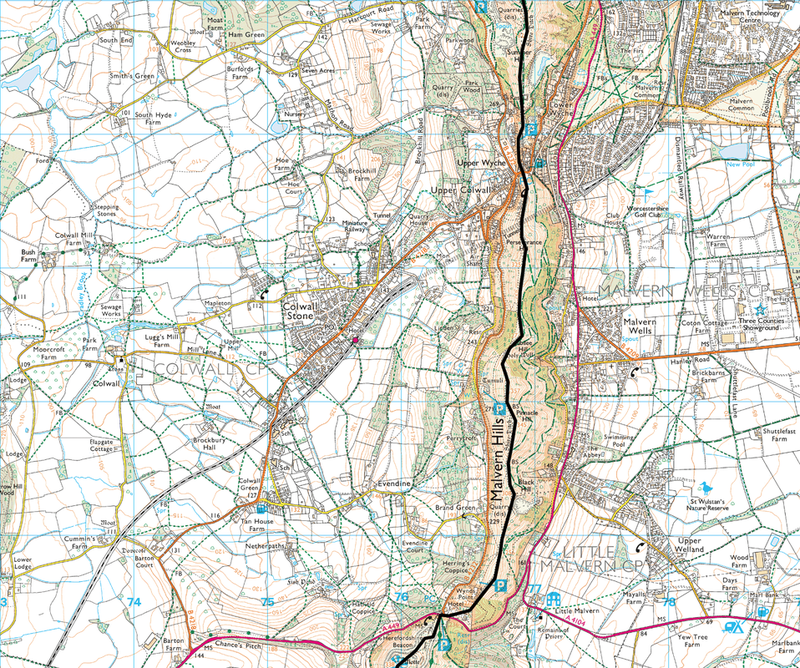 Therefore we parked at Hollybush in the south and took one car to North Quarry to the start point. 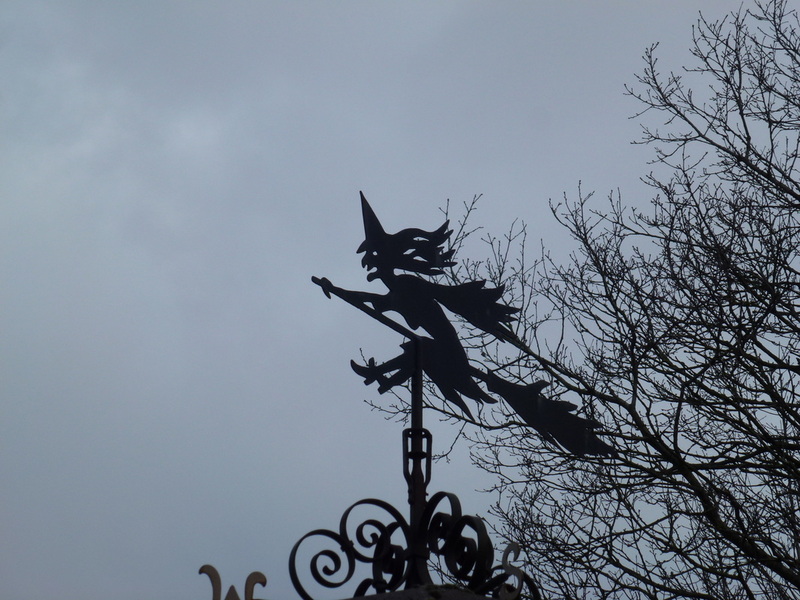 There is plenty of parking at both car parks but during busy times it is envisaged these would fill up pretty quickly. 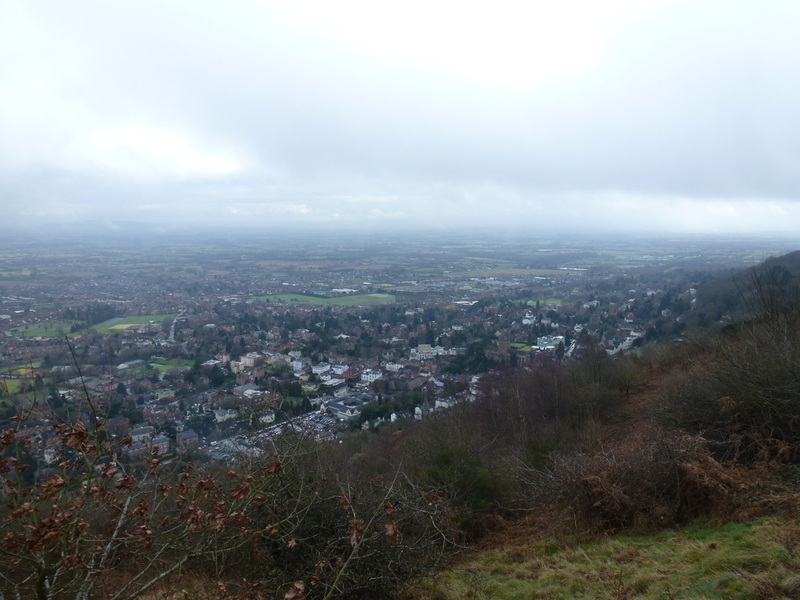 Leaving North Quarry, it was not long until we were up on the first summit of North Hill from where there are good views down over Malvern - except that we had a sudden hazy, cloudy spell which luckily did not last thus revealing the view as we left the summit. 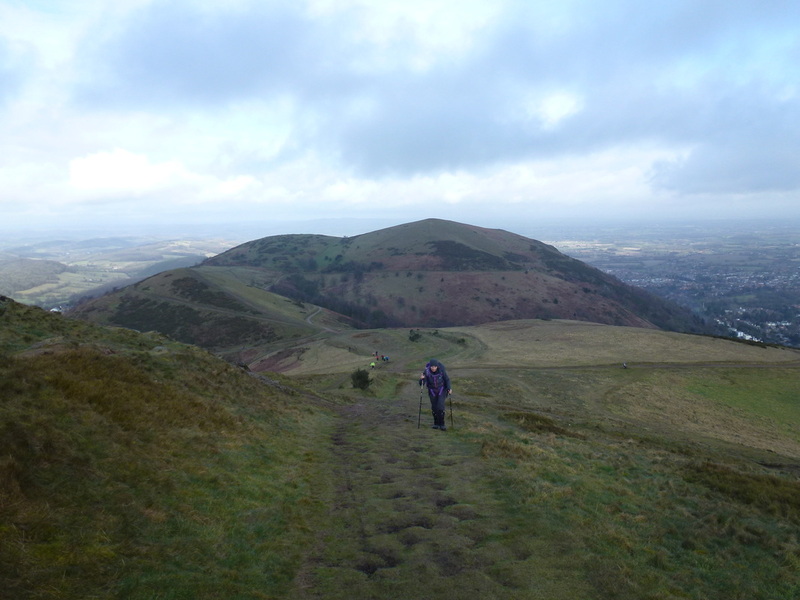 Dropping into a col of sorts, there were many paths leading all over the place but in good viz the route to the summit of Worcestershire Beacon is never in doubt and once on the top the views over the area are quite extensive. 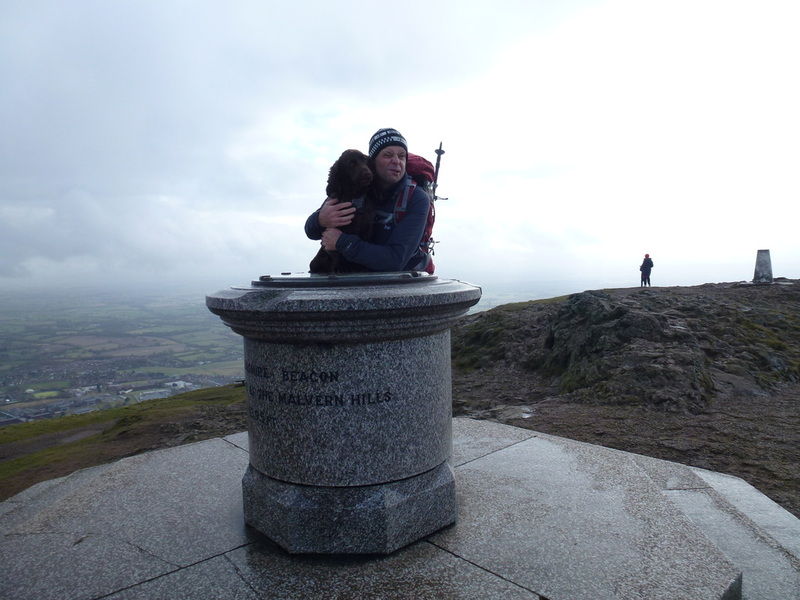 There is a large toposcope in addition to a Trig Point on the summit and it is worth spending time on the top in order to take in the impressive panorama before you. 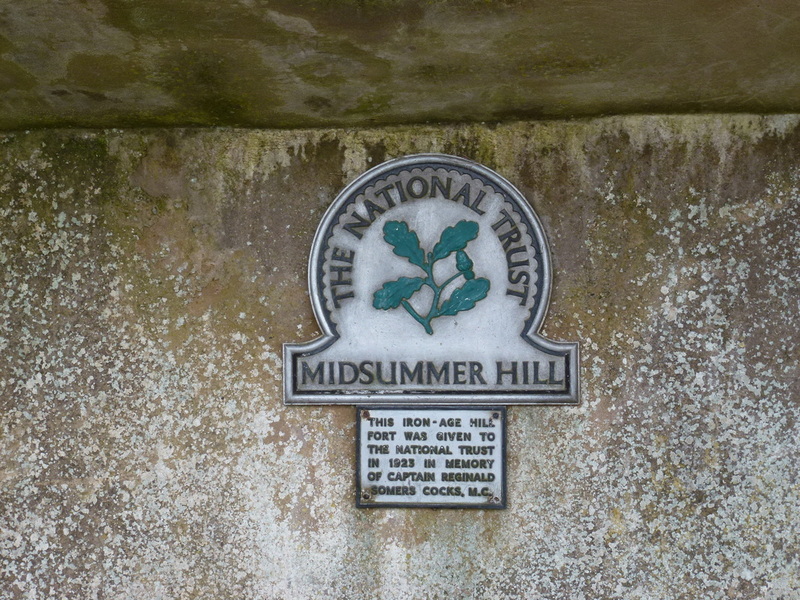 From the summit the route dropped down to Summer Hill before descending further to the small village of Upper Wyche. 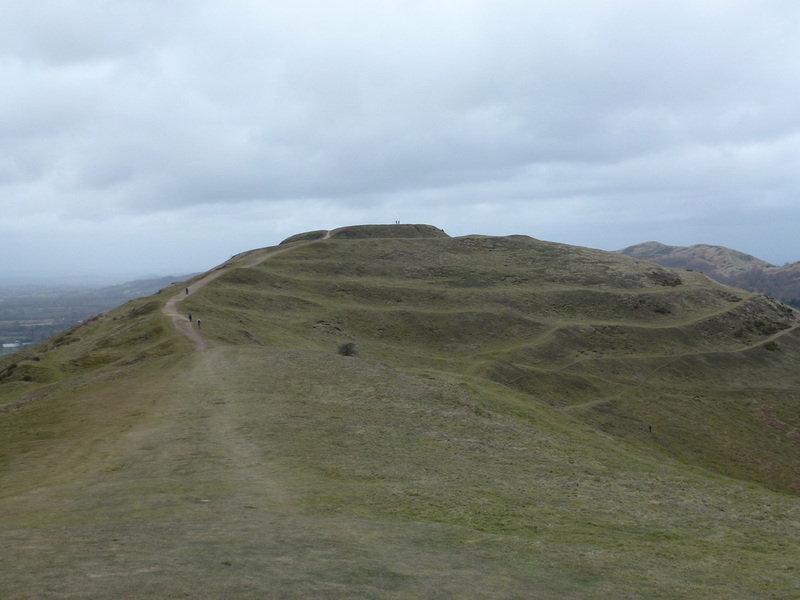 From here the route ascended to start the up and down roller coaster over Perseverance, Jubilee, Pinnacle and Black Hills - this was a delightful transit and we took our time before dropping down to have lunch at the large Car Park at British Camp. 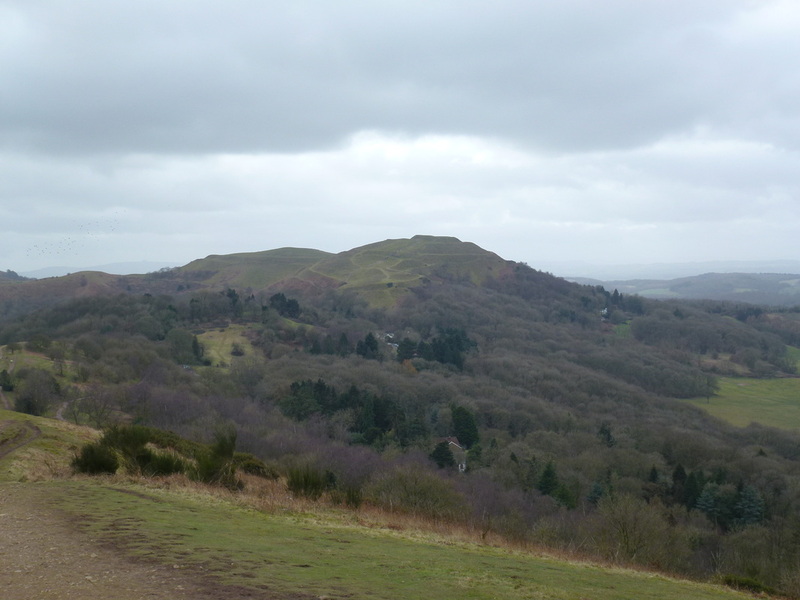 From here, to reach Herefordshire Beacon it was a short but steady pull up to the summit and there were many paths we could have taken to reach the top. 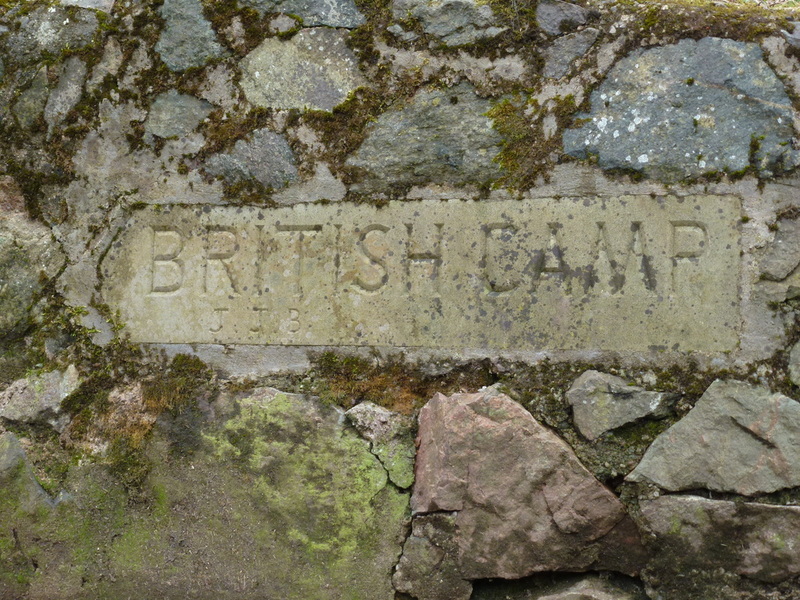 The extensive earthworks of the 2nd BC Iron Age Hill Fort known as British Camp were clearly visible from both the transit and the summit itself. 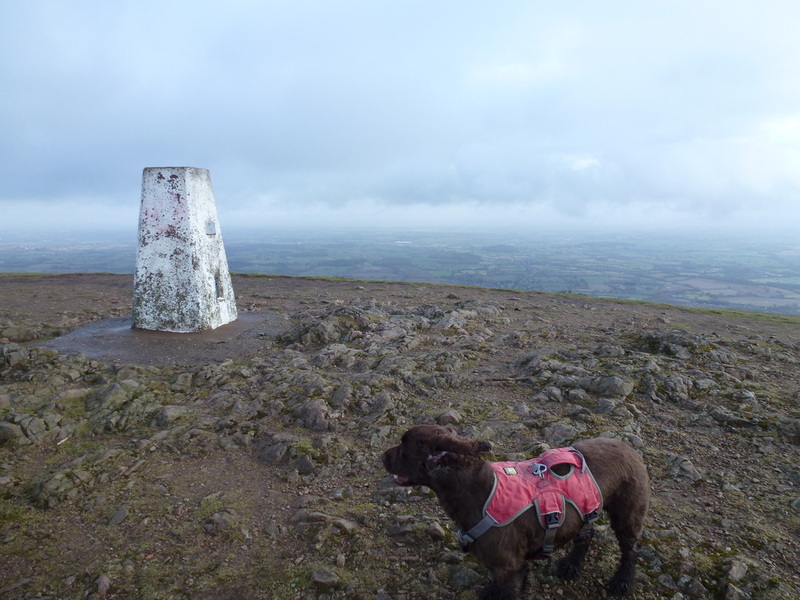 From Herefordshire Beacon the route remained high and we made another super transit over the inclines and declines to Millennium Hill, Hangman's Hill, Swinyard Hill and finally Midsummer Hill before dropping down steeply to the Car Park at Hollybush. 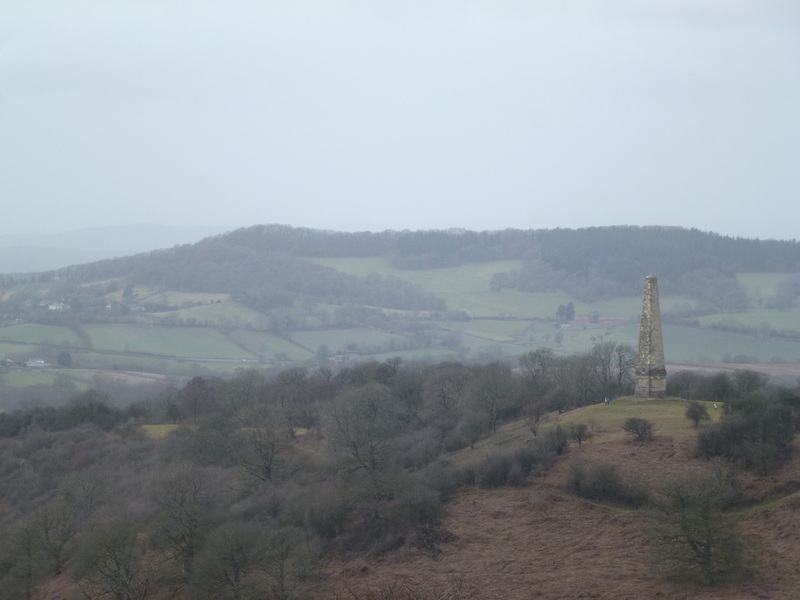 From Hollybush there is the option to take your transport back to North Quarry or instead, as we did, climb up to Raggedstone Hill & Chase Hill which both give glorious views back down the route. 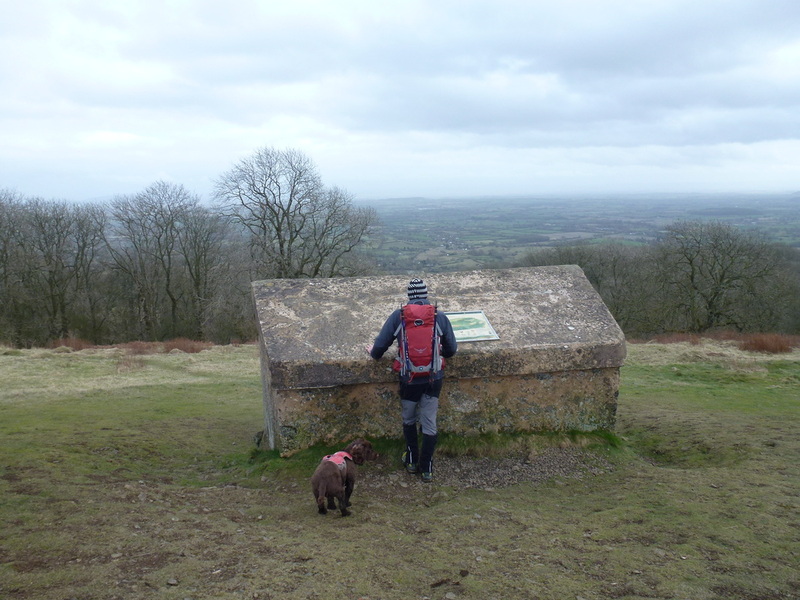 From the Trig Point on Chase Hill we headed back to the Car Park at Hollybush. 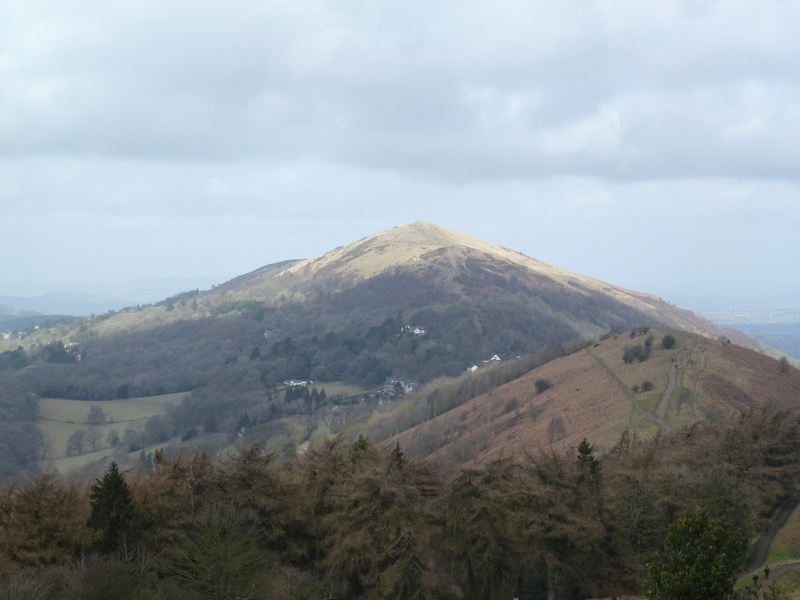 Whilst the hills of Malvern can be climbed in isolation, walking them all from end to end is a really good day out which is full of interest and varied scenery. 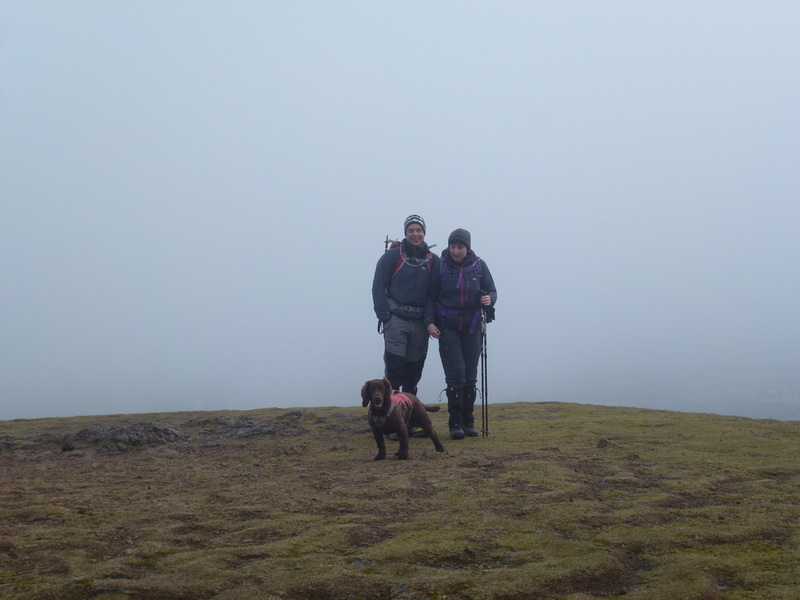 Mike, Sue & Fudge on the summit of North Hill - luckily the thick, grey soup behind went somewhere else!